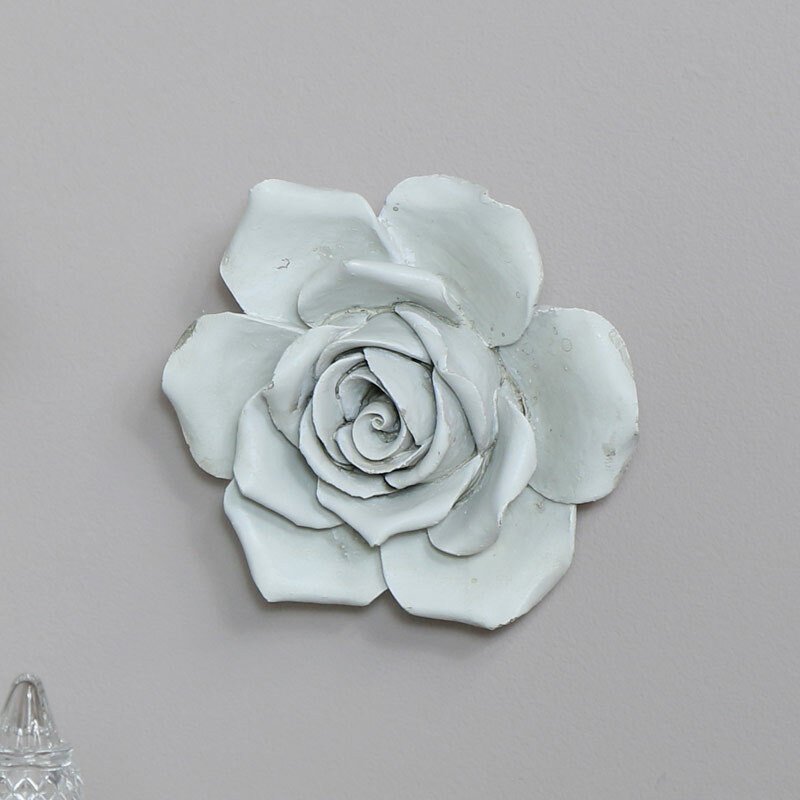 Wall mounted white rose decoration. Decorative home decor accessory for vintage, Yorkshire or shabby chic inspired interior. 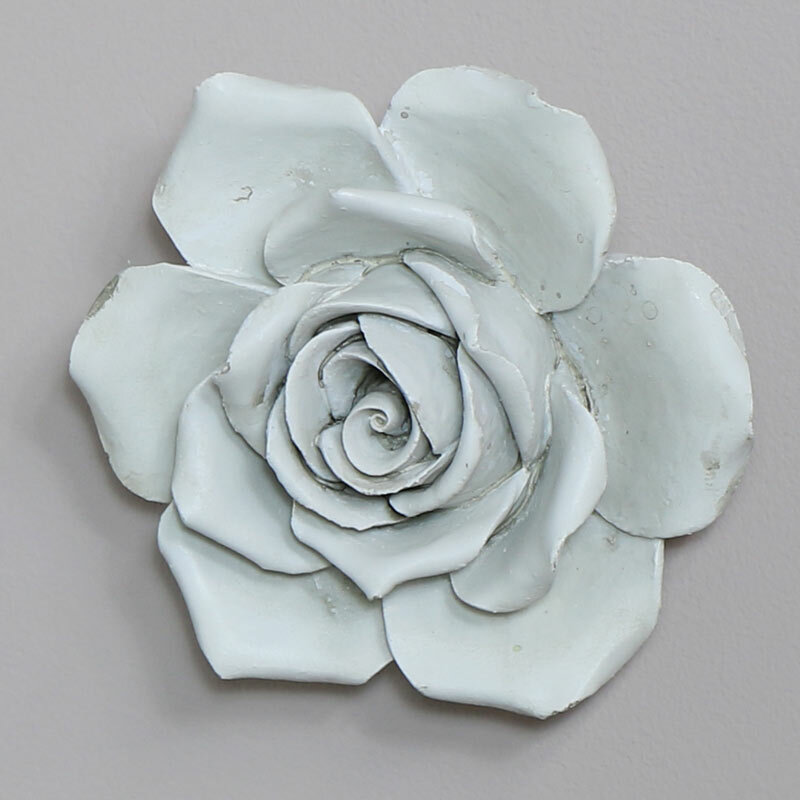 Made from resin in an antiqued white finish. Easily wall mounted with D ring hook on the back. A beautiful addition to our wonderful range wall art and plaques. You'll never be stuck for ways to decorate your home or gifts for loved ones, friends or family.